The Marco Polo Gazebo 3x3m in mocha from Glendale Leisure is great value for money. Designed to be a permanent fixture in the garden, this fantastic outdoor shelter can be secured to the ground or decking using the designated screw holes. Features a decor steel frame with a high quality powder coat finish, heavy duty, UV stabilised, polyester roof and curtains. This gazebo sunshade is a well constructed and very robust structure which is easy to assemble. The curtains and canopy can be removed when not is use during the winter months. This item will be delivered by a parcel courier. If, upon delivery, you receive a damaged item, please sign for the delivery as damaged and contact our Customer Service team on 01233 860038. 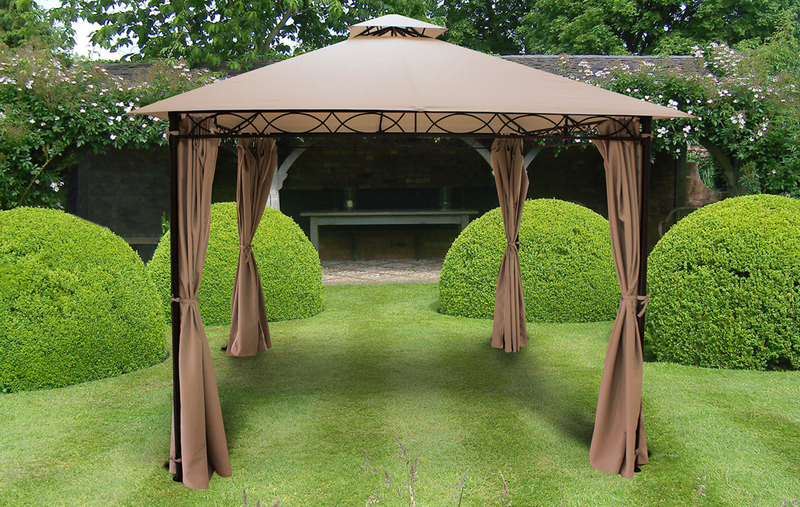 Click the button below to add the Marco Polo Metal Gazebo 3x3M Mocha to your wish list.